Registration is now closed for all divisions for our Winter League. Next league is Spring 2019 and registration will begin mid February. Please visit our website @ www.atascocitabasketball.com, click on the Contact Us tab to input your information so you may get on our e-mail distribution list for future league registration notifications. Fee: Cost will be $175 for early registration (October 14th – October 28th) and $200 for regular registration (October 28th – November 4th). We offer a $25 sibling discount. Registration could close prior to November 4th once a division has maxed out. Fee includes a reversible jersey, shorts, 8 practices, 8 regular season games plus playoffs, award, and pictures. Player evaluation is MANDATORY for all registered players. If a registered player does NOT attend the mandatory evaluation, their spot will be taken by a player that either walks up to register or on the waiting list. The registration fee will be refunded but a $50 cancellation fee will be withheld. All participants must register and evaluation is MANDATORY. Registered players’ registration is not complete until they have attended the mandatory evaluation. If a registered player does NOT attend the mandatory evaluation, their spot will be taken by a player that either walks up to register or on the waiting list. The registration fee will be refunded but a $50 cancellation fee will be withheld. Team rosters will be limited to a first come first serve basis and space is limited due to gym availability for practices and games. Therefore, online registration is encouraged. REGISTER EARLY! Practices: Practices will begin the week of November 27th. Each team will get two practices prior to the first game which is on Saturday, December 8, 2018. After the first game, each team will then have one – one hour practice during the week on either a Tuesday OR Friday, depending upon which team they are on. The ABA practice times are from 6pm – 10pm with each team practicing one hour. The younger teams will practice first then the older divisions come later. There will NOT be any practices the weeks of December 17th – January 4th in recognition of the Christmas / New Years Holiday. There will be a game on Saturday, January 5th. Games: One (1) hour game (between hours of 8am – 3pm) played on Saturdays, beginning December 8th. The younger teams will have the early games first then the older divisions come later.There will NOT be any games on December 23rd nor December 30th in recognition of the Christmas / New Years Holiday. Volunteer Coaching: We are in need of volunteer coaches to have a successful league. If interested, please register yourself as a coach when registering your child. Any coaching questions, please email the Registrar at ababall1990@aol.com. How to Register? Go to the “Register Here” tab at the top of this screen. You can either click on the “”Online Registration” tab to register online OR download a registration form. For the quickest reply for registration information, please email the Registrar @ ababall1990@aol.com, or call the hotline at 281-319-3222. Click ‘Create New Account’; if you’ve added your account already, you can login or request to have your login emailed to you. You will receive an email confirmation that the registration has been completed. Once the form is completed, you may either drop it off at The Gym (2325 Atascocita Road, Humble, TX 77396). Every player must play at least 2 quarters. (20 minutes anytime during the game.) Any exceptions must be cleared with the Game Day Coordinator/Board Member and parent(s) prior to game. Violation of this rule may result in forfeiture of game. Players must wear the ABA issued jerseys and shorts. Failure may result in a one-time technical foul being assessed against the offending team. Free substitutions during dead balls. To aid coaches in substitution, the clock will be stopped at approximately the 5:00 minute mark of each quarter. Coaches are instructed to have the substitutions ready for play at the 5:00 mark. This substitution mark is not to be considered a time out for coaches unless the coach calls a time out. Tie scores in regulation time are allowed one (1) two minute overtime with stop clock. In tournament play, extra periods will be two (2) minutes in length, until a winner is determined. Full Court Pressing: Div A See #20. Div 1 See # 24. Divisions 1 – 4: No full court presses with a fifteen point lead. A team technical foul (two free throws and possession of the ball at mid court) will be assessed to the pressing team after the first warning to the pressing team. After the third team technical foul, the coach will be assessed a technical foul. See Rule # 17. Running clock except for the last two minutes of the game and any over time periods unless of a 15 point lead. *Clock will be stopped during the last two minutes of the game for foul shots and out of bounds. Clock starts when a player touches the ball on the in-bound throw. *Time can also be stopped for an injury or at the discretion of the referees or game coordinator. 7. Div A & I players may step over the foul line after shooting foul shot. *All Divisions: 4 – ten minute quarters and a two-minute quarter for extra periods. *Fourth quarter will take 15 minutes to play to allow for clock stopping during the final two minutes of play. *2 thirty-second time outs per team per half and one time-out during each extra period. Time-outs do not carry over to the second half or overtime period. Each team has one one-minute time-out during an extra period. *A maximum 3 minutes warm-up as time allows. Games may start early if all players are present for both teams. Only the coach and maximum of 2 assistant coaches may sit with their team during games. The assistant must be seated or facing the bench players. Only one coach is permitted to stand and coach the team on court. Violation may result in a warning to the coach followed by a technical foul against the coach for continued violations. Player “Trash talking” and other unsportsmanlike conduct, which includes flagrant fouls and taunting, will not be tolerated. The game officials have been instructed to put an immediate stop to it. First offense will result in warning and additional violations will result in player technical fouls and/or ejection. In addition, spectators in the stands who are disruptive may be ejected from the game after one warning from the referee or Board Member. Any person (spectator, coach, player, parent, etc…) that is ejected is required to immediately vacate the gym. Delay of games: Technical foul is assessed after the first warning. A technical foul will be administered without the warning, if the delay is within the last minute of the quarter. Game forfeiture: Scheduled game time is forfeiture time. If team is not ready to play at scheduled time, their game will be forfeited. A team is considered ready to play with a minimum of four (4) players at the scheduled game time. Divisions A, I & II will use 28.5 youth (or women’s) ball. Disconcertion rule – During a free throw, players are not allowed to wave their arms or make any noise to the free throw shooter in an attempt to distract the shooter. Violation will result in the shooter being granted another free throw or a technical foul if the action persists. Player will wear their jerseys inside their shorts throughout the game. Shorts will be worn at the waist and will not “sag”. Coaches are required to stay in the “coach’s box”. Violation will be an initial warning followed by a technical foul against the coach for any continued violation. Unsportsmanlike conduct from a coach or player will result in a technical foul against the coach or player. See Rule #10. Severe violations are subject to Board review and additional penalties may be imposed, i.e. suspension and/or banishment, as deemed necessary. A coach with two technical fouls assessed to him/her will leave the bench or gym and not be allowed to coach his/her team for the remaining of the game. Disqualified players will stay on the team’s bench and will not vacate their position on the bench during regulation and overtime play. Violations will result in a one–time technical foul assessed to the coach. Special Division A Rule: Teams may not press in the backcourt at any time. 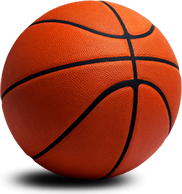 Coaches are given two warnings before a technical foul (two free throws and possession of the ball at mid court) is assessed for each ensuing violation. No warning will be given during the last minute of a quarter. Special Division A Rule: The inbounding team shall have 10 seconds to get ball to the half court line then an additional 5 seconds to get ball across the blue line. Special Division A Rule: Each player will be allowed a free throw at the start of the game. These points will be part of the total score. Free throw will be from the 8′ free throw line. Each team will shoot the maximum number of free throws as the number of opposing players. For example, if one team has eight players and one team has six players, the team with six players will shoot two extra free throws. The team member(s) shooting the free throws will be a player(s) that has not made a free throw at the start of the game. The intent is for each player to have an opportunity to score a point. Special Division A Rule: Lane violation will be 5 seconds. Special Division A Rule: During the regular season, every player must sit out a minimum of eight (8) minutes a game. For the regular season game where a team has only six (6) available players, each player must sit out a minimum of four (4) minutes. In the playoffs, each player must sit out a minimum of four (4) minutes per game. Special Division 1 Rule: Teams may not press in the backcourt until the 4th quarter, and overtime as applicable. A team technical foul (two free throws and possession of the ball at mid court) may be assessed to the pressing team after the first warning to the pressing team. After the third violation, the coach will be assessed a technical foul. See Rule # 17. Three point shots are not counted in Division 1. Please focus on the kids and not the score. Displays of unsportmanship from the Coaches, players, or parents will not be tolerated and continued displays of such will result in ejection from the gym. Site Developed and Design bt VReX Media.